Children of all ages at key points in their reading journey may need extra support to explore the books out there, make connections and find books they want to read. Where all or most of the book related time is focused on practising reading some children may start to wonder what the point is. One good way to counterbalance this is to frequently read aloud picture books or have shared book time (exploring a book together). This could involve both reading the story and/or looking in more detail at the pictures together. 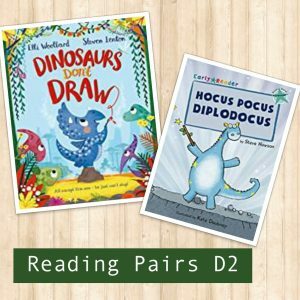 Reading pairs are designed to encourage both. 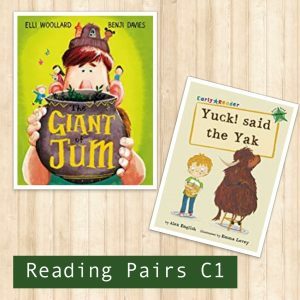 #reading pairs for emerging readers contain a Maverick Early Reader and a picture book. 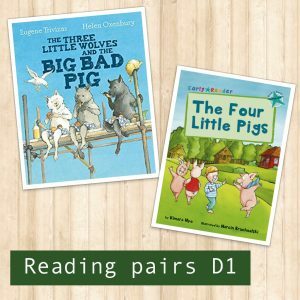 Each reading pair is connected by a loose theme to help children build reading connections. 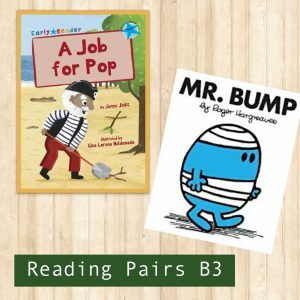 I have chosen to pair a quality picture books by authors and illustrators that my children and my customers love with an early readers published by Maverick books. When I first discovered these readers what struck me was how different they were to many others I have seen. Read my blog review. I have chosen to focus on stages 3(Blue) to stage7 (Turquoise) as these is the period where experience has taught me children are particularly in need of encouragement. Below are some great paired sets. Love the idea but not sure the books are quite right for your child? No problem I can can create you some paired sets based around your child’s interests. Maverick Early Readers are written by a team of talented authors to a unique set of guidelines tailored for Maverick’s reading scheme. All colour bands are checked by the Institute of Education before publication. Please see Mavericks Early Readers website for the details on their colours and stages. But, if your child’s school uses Oxford Reading Tree their stages are shown below so you can make a rough comparison. You may also find the sample pages of the Maverick website useful. Plus bonus Free blue level non-fiction reader. Early Reader: Yuk Said Yak (Green, stage 5). I can add (for an additional charge) a picture book of the Three Little Pigs if you don’t already have a copy of the original story. To find out more about my books, receive details about where I am doing a pop-up book stall and be the first to hear about great new titles please sign-up for my newsletter. Have a question or need help finding the right books? Get in touch here: Contact form.